Over the past few decades, India has witnessed a paradoxical trend: even as real incomes have grown, average calorie intake has declined. 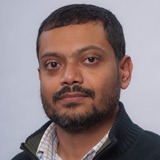 UMass Amherst Economics Professor Deepankar Basu and co-author Amit Basole ’12 PhD, investigate this phenomenon using a panel data set for 28 Indian states running over the period 1993-2009 in their paper, The Calorie Consumption Puzzle in India: An Empirical Investigation. Results show that a food budget squeeze (rapidly increasing expenditure of non-food essential items like education, transportation, and healthcare that leaves less for food) and declining home grown food consumption can explain the puzzle. The authors do not find evidence for strong effects of diet diversification or declining calorie needs. Their research has been cited in Bloomberg BusinessWeek (10/22/12) and the Times of India (10/27/12). This entry was posted in Alums, Basu on November 5, 2012 by . This entry was posted in Alums, PERI, Pollin on December 13, 2011 by . This entry was posted in Alums, PERI, Pollin on December 1, 2011 by . University of Massachusetts Amherst economists James K. Boyce and Michael Ash have received a grant of $360,000 from the National Science Foundation (NSF) to study Environmental Justice (EJ) in the United States, in collaboration with colleagues at the University of Michigan and the University of Southern California. “Environmental Justice” looks at unequal access to a clean environment by race and class. President Clinton’s 1994 Executive Order 12898 made EJ a federal priority. The UMass Amherst team is part of a three-university consortium for research on EJ. Boyce and Ash co-direct the Corporate Toxics Information Project of the Political Economy Research Institute at UMass Amherst. The other two lead researchers are Paul Mohai of the School of Natural Resources and Environment at the University of Michigan, a pioneer of EJ research and the lead investigator for the project; and Manuel Pastor, Jr., who heads the Program for Environmental and Regional Equity at the University of Southern California (and holds a 1984 Ph.D. in Economics from UMass Amherst). Boyce, Ash, and their collaborators will use a unique dataset from the U.S. Environmental Protection Agency’s ‘Risk-Screening Environmental Indicators’ project (RSEI) to examine the social, economic, and geographic structure of exposure to industrial toxic releases in the United States. This entry was posted in Alums, Ash, Boyce, PERI on June 23, 2011 by . This entry was posted in Alums, PERI on June 23, 2011 by . Most of the job growth that will occur in the United States by the year 2016 will be in low-paying occupations. Unions could improve overall job quality. Unions have historically existed to protect workers from unsafe working conditions, unfair treatment, low pay and insufficient benefits. According to AFL-CIO, one of the nation’s largest organized unions, over 36 percent of public employees are unionized compared to only 6.9 percent of private sector workers. This is primarily due to the fact that private sector labor laws do not prohibit employers from using intimidation and harassment to prevent unionization. While educators continue to represent a large portion of unionized workers, according to a 2009 educational study written by Jeannette Wicks-Lim at the University of Massachusetts, Amherst, the following four occupations stand to gain the greatest benefit from union representation: nursing aids/personal home health care aids, general office clerks, janitors, and accounting clerks. This entry was posted in Alums, PERI on June 1, 2011 by . Clean-energy investment would promote job growth for a wide swath of the U.S. workforce. Fourteen months of an unemployment rate at or near 10% clearly calls for the federal government to take a lead role in job creation. The White House should push its clean-energy agenda as a jobs program but steer clear of all the hype about “green-collar” jobs. Green-collar jobs are widely perceived as job opportunities accessible only to an elite segment of the U.S. workforce—those with advanced degrees, such as environmental engineers, lab technicians, and research scientists. Such jobs are inaccessible to the 52% of unemployed workers with no college experience. The truth is, however, that clean-energy investments could serve as a powerful engine for job growth for a wide swath of the U.S. workforce. This entry was posted in Alums, PERI on September 23, 2010 by . This entry was posted in Alums, UMass Economics on September 3, 2010 by . Arjun Jayadev ’05 Ph.D. and his colleague at the Roosevelt Institute, Mike Konczal, are co-authors of the working paper, The Boom Not The Slump: The Right Time For Austerity, recently cited in Paul Krugman’s New York Times blog entry, Expansionary Austerity? Jayadev and Konczal’s paper critiques the idea that large-scale deficit reductions are associated with economic expansion which is a conclusion drawn from the Alberto F. Alesina and Silvia Ardagna (2009) paper, “Large Changes in Fiscal Policy: Taxes Versus Spending.” Alesina & Ardagna’s research has led many popular commentators to suggest that the U.S. can adopt such a policy and grow. This entry was posted in Alums on August 25, 2010 by . 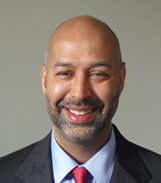 UMass Amherst economics alumnus, Curtis Haynes Jr. ’81, ’93G, was appointed to the City of Buffalo’s Common Council on January 14, 2010. He represents the Ellicott District and his current term runs through the end of the year. 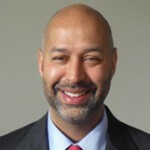 Dr. Haynes is also an assistant professor in the Department of Economics and Finance at Buffalo State College. This entry was posted in Alums, Graduate on June 18, 2010 by .